Olivia Kirkpatrick MSN, AGACNP is a Nurse Practitioner for the ICU Recovery Center at Vanderbilt Medical Center. She is a board certified Adult-Geriatric Acute Care Nurse Practitioner who works as a critical care nurse practitioner in the Medical Intensive Care Unit (MICU) at Vanderbilt. 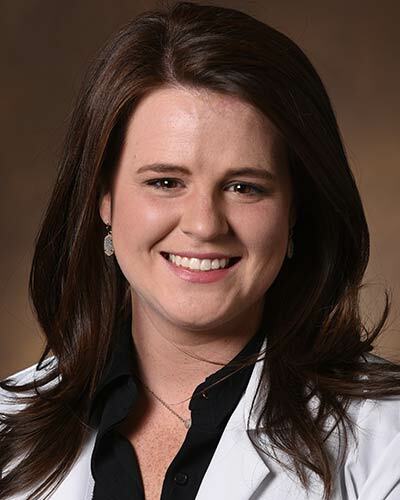 She received her Bachelors of Science in Nursing from the University of Tennessee and joined Vanderbilt in 2011 as a critical care nurse in the MICU for five years before earning her Masters of Science in Nursing in Adult Gerontology and Acute Care at Vanderbilt University. During her graduate studies, she completed Intensivist sub-specialty training and was appointed to Sigma Theta Tau honor society. She holds a faculty appointment in the Vanderbilt Department of Medicine, and her clinical time is focused in the Medical Intensive Care Unit. Additionally, she enjoys seeing post-intensive care patients in the bi-weekly ICU Recovery clinic. Her clinical interests include post-intensive care recovery as well as critical care medicine. For more details of her work, please contact her for a copy of her Curriculum Vitae.